According to Mike Giannotti from Google Travel at the 101 Holidays members’ forum last week, travel companies must grasp the importance of digital content to ensure market share. The research phase of booking a holiday is more competitive than ever with 85% of holidaymakers now using the web to research and book their holidays. And on average these people are visiting 22 sites across 10 sessions before making their final booking. 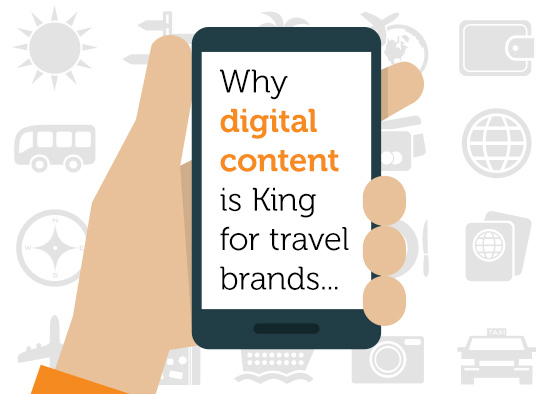 So how does a travel brand ensure its website stands out from the crowd? With the proliferation of devices and the rapid growth in mobile browsing (see Why Mobile in 2014), the type of content people are seeking is changing. Holiday researchers are no longer satisfied with simple text, but expect to experience, through customer reviews, news, images and video, what the holiday will be like before booking. 1. Is it an accurate representation of reality? 2. Is it right for me and what I am looking for? 3. Am I getting the best value? At the consideration stage, content is critical, and, if done well, can convert undecided customers, answer any questions they have, and, rather than try and force them into booking, instead inspire them to book. Any content has to be created with the consumer in mind. What will inspire them to linger on your website? What will make them consider booking a holiday with you? What are their likely priorities? What can you do to answer their questions? Integrating independent customer review sites, live chats to answer questions, and plenty of images and video will aid your mission. Researching a holiday is no longer the preserve of the desktop. One in two people now use a tablet or Smartphone while watching TV and 53% of UK mobile users in 2013 used their mobile first to search for information, before following up on another device. And research isn’t even limited to the home or pre-travel either. Holidaymakers are using their smartphones to search for things to do, places to stay and places to eat while already in a specific location. Providing the right content at the right time for the right device is paramount. Content is all about using or developing your assets to create your brand’s story online. A potential customer should enjoy a taste of what is to come and feel emotionally engaged with the brand and what it has to offer them personally. Converting undecided buyers is just the first step. Ensure content supports your brand’s messages throughout the customer’s stay – remember tech savvy holidaymakers might well be browsing your website on their smartphone from their hotel room for menus, opening hours, spa treatment lists etc rather than calling reception. It’s also essential to continue the dialogue with your guests to increase retention rates – remind them what they loved about their holiday, tell them what’s new, give them something personalised. People love to use social media while they travel. Indeed, arguably the postcard has now been replaced by the Facebook post. Looking after your existing guests is essential, after all, their networks are your prospects. ← Why Mobile in 2014?